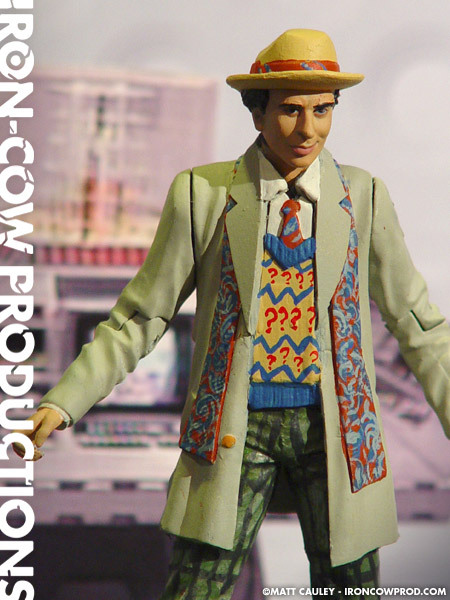 This custom represents Sylvester McCoy, the actor who portrayed The Seventh Doctor. 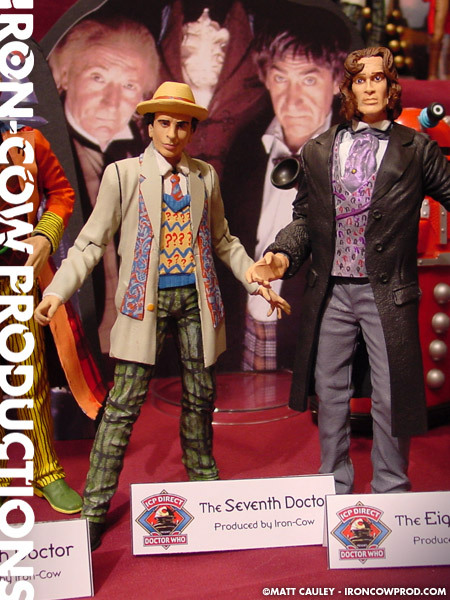 The Seventh Doctor uses an Angel Figure from the original Buffy the Vampire Slayer figure line. The original trench coat jacket has been heavily reworked, shortening it in length and expanding the chest region. 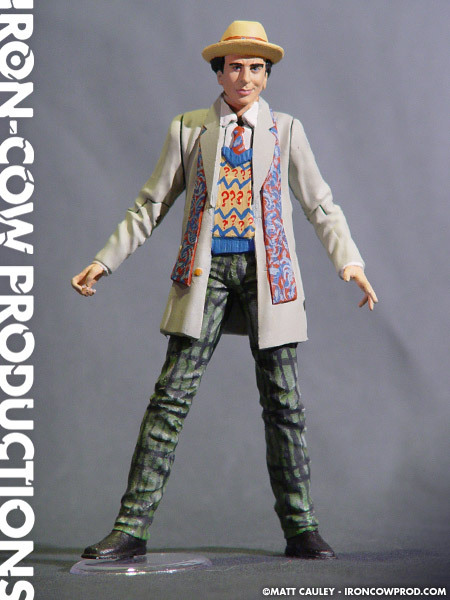 New details have been added with Kneadatite such as his sweater, scarf, collar and tie. The head is borrowed from a Dr. 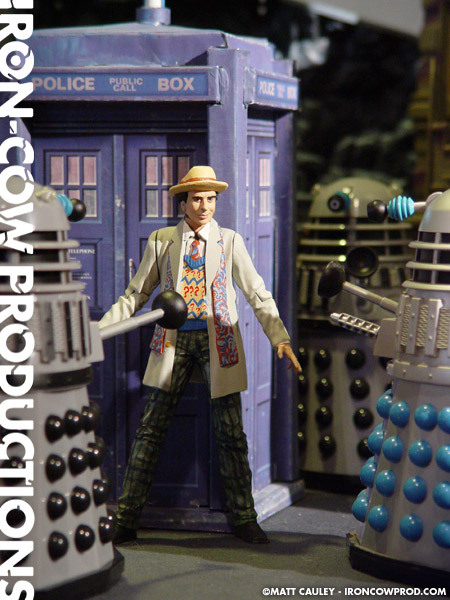 Evil figure, which has a surprising likeness once the hair and hat were added. 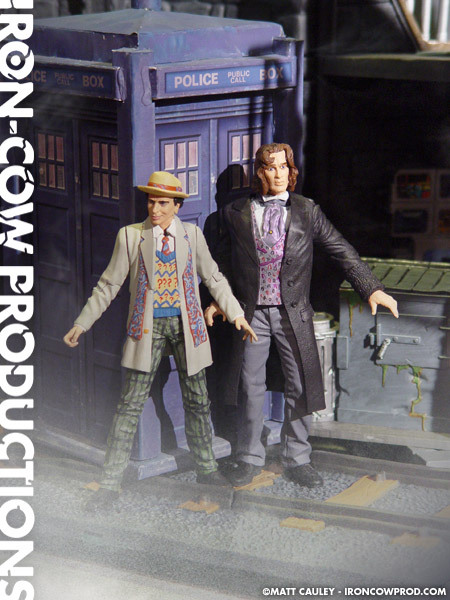 Overall this is my favorite of the Dr. Who customs I produced. It was also the first to be completely finished. 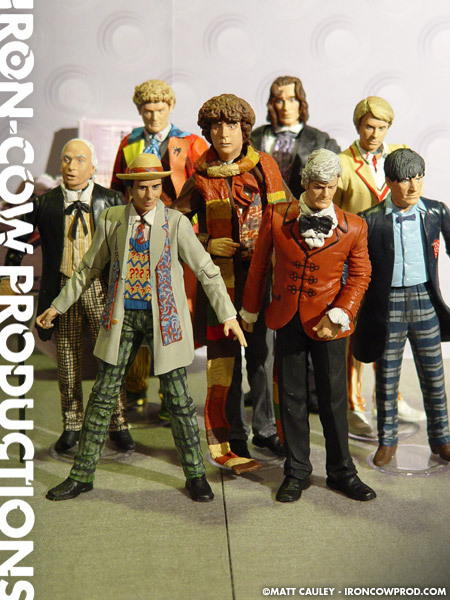 All the detailing you see on the fabric is hand painted, an effect I liked so much that I continued to hand paint the patterns on the remainder of the Who customs.